SALTED Specially selected for size with a firm, crispy crunch. We ethically source our nuts from all over the world. Our growers carefully check every batch for size and quality, then we roast and season them for you to snack, share and enjoy. 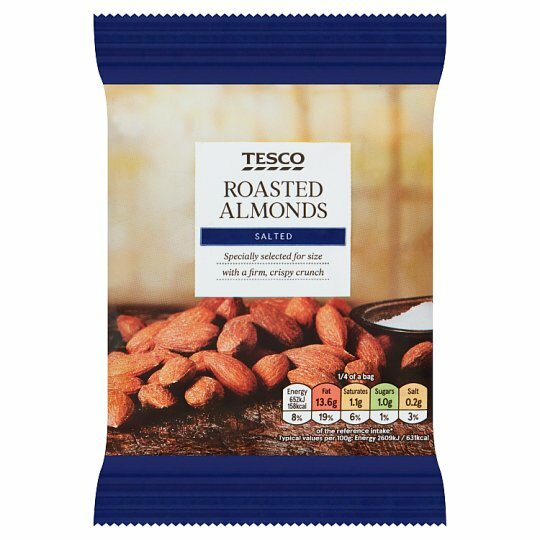 INGREDIENTS: Almonds, Rapeseed Oil, Palm Oil, Salt. Once opened, consume within 7 days. Store in a cool dry place and once opened in an airtight container., Store in a cool dry place. Warning: Not suitable for small children who can choke on nuts.Packaged in a protective atmosphere.Caution: This product may occasionally contain small fragments of shell..